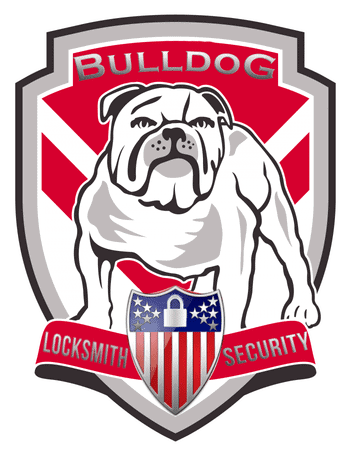 A locksmith is a highly skilled professional that installs, services, maintains, and repairs various types of locks, including mechanical locks and electronic security devices. Locksmiths must be trade qualified and licensed. What are the benefits of hiring a professional locksmith service such as Irving Locksmith? Simply put, we have the experience and knowledge to recommend state of the art solutions that are custom tailored to suit your specific situation, and we can install them seamlessly and efficiently. Do you have a job that involves anything to do with locks or keys? Call us! If you find yourself in a situation in which you are locked out of your home or car, give us a call, especially if it is an urgent or emergency situation. How should I vet a locksmith that I am considering hiring? Any locksmith you consider hiring should be licensed to work as a locksmith. This ensures competence and trustworthiness. To check whether a locksmith is licensed, simply request their Security Employee License, which is issued by the state of jurisdiction. Any locksmith that is worthy of your business should also back up their services and products with a warranty. Additionally, you should always make sure that the locksmith you hire is bonded and insured. Lastly, when the locksmith arrives to your location, look for clear markings on his vehicle such as company name, logo, and contact information. Professional locksmiths will maintain a professional appearance and presence. Are all locks vulnerable to picking? No. There are high security locks available for both commercial and residential applications that are resistant to being picked. Rekeying a lock simply means that the tumblers are adjusted to fit a new key. Once locks are rekeyed, the old keys will no longer unlock them. What are the advantages of having locks rekeyed? It is advisable to either change locks or rekey locks any time you move into a new home or apartment, because it is impossible to know how many people the previous resident may have provided keys to, including neighbors, family, contractors, friends, etc. The advantages of rekeying locks vs. replacing them is that it is less expensive to rekey and requires less time to do so. Can I use the same key for multiple locks? Yes, locks can be keyed to use the same key. This can save time in searching through keys trying to find the right one for the current lock. Can a deadbolt be added to my doors? Yes, this is a very common service, and for security purposes it is one that we at Irving Locksmith strongly recommend for any exterior doors that currently lack a deadbolt. We can modify both the door and the door frame to fit the deadbolt and ensure that everything aligns properly. What if I want to copy a key marked "do not duplicate?" Keys with special marking instructing the holder to not duplicate cannot be duplicated without express written consent of owner. A letter of authorization on a company letterhead must be presented along with the key at the time the duplication request is made, and it should contain the following information: identification of the key to be copied, the quantity of copies to be made, the name of the person to pick up the copied keys, and the name and contact information of the person authorizing the copies to be made. We reserve the right to refuse duplication requests for any key marked in a manner restricting duplication. What are transponder keys? Can they be duplicated? Transponder keys contain an electronic chip as an additional layer of security for vehicles. This chip is programmed with a code to match the cars computer, allowing it to be used to start the vehicle. Most cars today feature keys with transponder chips. We can work with your vehicle’s computer to program a key to work with your ignition. Why should I use a locksmith to duplicate my keys instead of my local hardware store? Key duplication machines require regular calibration in order to make sure the duplicate keys work properly. Oftentimes, hardware shops will fail to calibrate their equipment properly, which leads to duplicate keys being made incorrectly. Keys duplicated by locksmiths will be properly made, because we are highly trained professionals. Where can I purchase lock picking tools? Most states forbid the ownership of lock picking tools to anybody other than licensed locksmiths. Locksmiths will NOT sell lock picking tools or other entry tools to anybody.